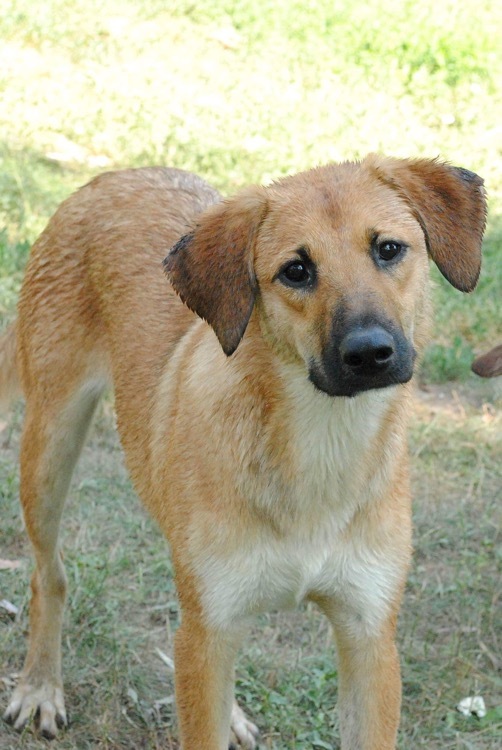 This little sweetheart is Zara a 1 year old cross breed desperate for a new home. She has been overlooked up to now and is sadly in a shelter where the other dogs pick on her, she doesn’t retaliate and is slowly beginning to withdraw through the stress of it all. Zara is a gentle girl with people and could live with a calm, friendly dog that can show her the ropes. She may suitable to live with a cat but we will know more when she arrives. She is suited to living with older children, for now we think that young ones might be too much for her. She will need all the basic training a puppy requires and a peaceful environment initially to grow her confidence. We’ve no doubt though that once she is settled she will be a fabulous little girl.